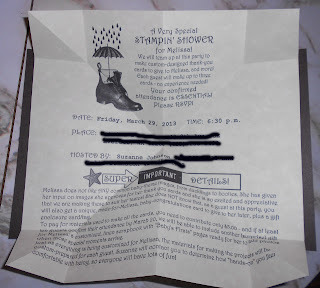 The invitation is really a MDS hybrid. 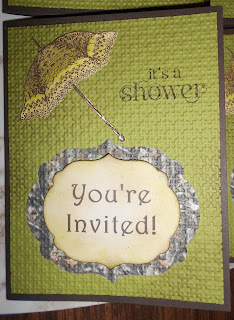 I used MDS to create the camoflage background pattern and the "You're Invited!" It creates a vintage-look antique bronze! and text for all the information. Below is the open invitation.